Every year more and more people are taking to the water as a source of work and income. Shipping crew members and seamen jobs are both rewarding and potentially dangerous. These jobs in the high seas are by nature dangerous due to severe weather conditions or rogue ocean waves. Ships themselves can suffer many types of problems including fires, explosions, and collisions or sinking. Water transportation workers are workers who maintain vessels that carry cargo and people over waterways. These waterways may include foreign ports of call or domestic ports along coasts or across the Great Lakes and inner inland waterways. According to the Bureau of Labor Statistics, the number of jobs in 2014 was 78,500. It’s estimated that the job growth for this industry is at 9%. Whether it’s a sailor, seaman, mariner or seafarer job, all of these job positions that are in the private sector are covered by maritime laws. 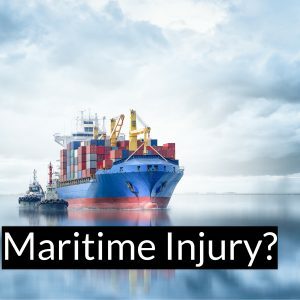 If injured on the job many times lawyers and attorneys refer to a Federal Statute called the “Jones Act” for litigation claims. The Jones Act allows American and resident alien seamen who suffer work related injuries to sue for damages in a Federal district court. 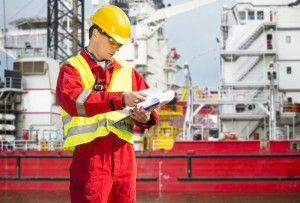 Lawsuits filed under the Act frequently raise the issue of whether a particular worker should be considered a “seaman”, a term the law leaves undefined. The case of termination was settled and decided on February 19, 1991 in the case of McDERMOTT INTERNATIONAL, INC. v. WILANDER. According to Coast Guard data a vessel is considered to be involved in a “boating accident” whenever a death, missing person, personal injury, property damage, to total vessel loss results from the vessel’s operation, construction, seaworthiness, equipment or machinery. Can I sue for any injury on the boat I was working for? What is the compensation for injuries on a ship? How do I file a shipping boat claim? I almost drowned on a boat, can I take legal action? I was sexually assaulted on a ship who do I sue? I was attacked by another boat worker can I sue them? A fire on a ship killed my family member what can I do? Who is eligible for injury claims if injured at sea? If you or someone you love was working on any type of vessel and was injured, harassed, assaulted, physically or mentally abused you have the right to legal action. As a seaman or mariner you have rights and may sue your employer under a Federal Statute called the “Jones Act”. Not only can you take action for the injuries list above, you may also have claims related to conditions on the vessel such as unseaworthiness, breach of contract, earned wages, wrongful termination of duty and other claims. Many times the payouts and cash awards are very high. Our lawyers and attorneys fight for seaman’s rights. 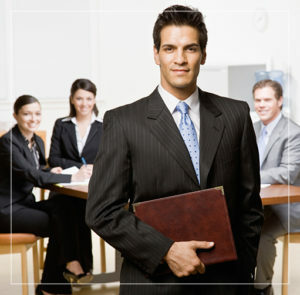 We understand the complicated maritime laws and may be able to get you or your loved one a substantial cash award. Take action today and call us at 1-800-214-1010. Grounding, capsizing, sinking, or flooding/swamping. Falls in or overboard a vessel. Persons ejected from a vessel. Fire or explosions that occur while underway and while anchored, moored or docked if the fire resulted from the vessel or vessel equipment. Water-skiing or other mishap involving a towable device. Collision with another vessel or object. A person struck by a vessel, propeller, propulsion unit, or steering machinery. Electrocution due to stray current related to a vessel. Casualties while swimming from a vessel that is not anchored, moored or docked. Casualties where natural causes served as a contributing factor in the death of an individual but the determined cause of death was drowning. Casualties from natural phenomena such as interaction with marine life (i.e. carp causes casualty to person) and interaction with nature (i.e. mountain side falls onto vessel causing casualties). Casualties where a person falls off an anchored vessel. Casualties that result when a person departs an anchored, disabled vessel to make repairs, such as unfouling an anchor or cleaning out the intake of a jet-propelled vessel. Can I sue the ship or vessel I work on? If you were hurt or injured on a ship or vessel you work on contact our maritime law firm today. We can help to determine if you have a case and can sue for any accident, injury or death at sea that may have occurred. Maritime laws are complicated and require lawyers and attorneys who specialize in this type of law. Statistics on boating safety can be found at the US Coast Guards website. Crew member & seaman lawsuit claims and settlements litigation lawyers & attorneys page updated May 3, 2017.